Several sources and individuals have sworn that this photo was taken on either the Skagit river or the Sauk. But we knew that we had seen it someplace else. The mystery was solved on page 208 of Percival R. Jeffcott's fine history of Whatcom county, Nooksack Tales and Trails. The photo is of the Harkness Ferry on the Nooksack river in Whatcom county at a famous place west of Everson called "The Crossing." Woolley pioneer Susie Alverson would have known the ferry well because her father served as telegrapher there before the family moved to Woolley in 1895 to manage the old St. Clair Hotel. 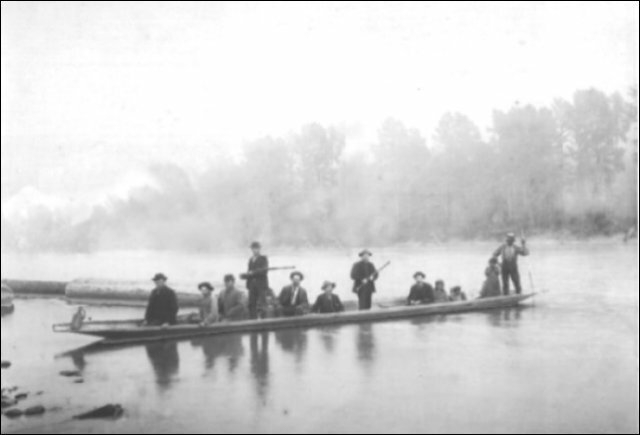 We share the photo because this was a gravity ferry — with a winch-like attachment at both ends, attached to a cable above that was chained to trees on both shores, which used the strong current of the river for power. Nowadays we would call it "environment-friendly." That is the type of ferry that crossed the Skagit in at least 12 different places from Fir on the South fork to Marblemount in the foothills of the Cascades. The Skagit River is 120 miles long, 25 miles of which are in Canada. The Skagit Watershed drains over 1,700,000 acres of land. It is the largest watershed in the Puget Sound Basin, providing over 30 percent of all water that flows into the Sound. That's 10 billion gallons of water every day. The Skagit Watershed is home to eight species of seagoing fish, comprising about 30 percent of all anadromous fish entering Puget Sound. The land within the Skagit watershed is 82 percent forest, 13 percent rangeland, 2 percent farmland, 2 percent lakes or streams and 1 percent developed areas. The watershed is home to more than 250 wildlife species, including 174 birds, 73 mammals, 25 fish, 17 amphibians and 10 reptiles. The Skagit River supports one of the largest wintering populations of bald eagles in the continental United States. The Skagit watershed boasts 394 glaciers, 387 lakes, 35 major tributaries, 5 dams and 32 towns. Humans have existed within the Skagit Basin for more than 11,000 years. In addition to private lands, the Skagit Watershed is managed by 24 federal, state, local and Canadian governmental agencies. 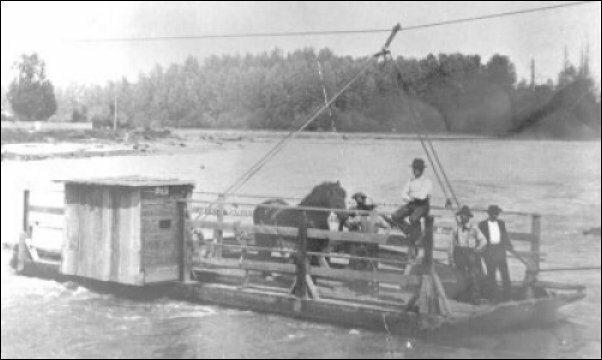 This was the main mode of travel on the Skagit river for the first few decades. Men would split a cedar log lengthwise, burn out the center and then scrape away the residue until they had a sturdy craft, just as the Indians had done it for eons. As you can see, several people could board. Such canoes were often lashed together to carry goods and ore weighing a ton or more. This photo was taken by the early Anacortes photographers Booen and Ewing. One conclusion is that a group of Indians from the Sauk River region were being transported to the new reservation at Swinomish, near LaConner. Larry Kunzler and Dan Berentson launch a new website that explores Skagit river floods in depth — past, present and future. See the links to the huge collection of documents that they have posted that include hundreds of newspaper articles from throughout the 20th century. This story will soon be changed to this address. If neither file connects, please email us. In 1958, Otto Pressentin recalled the 1897 Skagit River flood that wiped out several downriver towns and how he helped save the books and bell from the Marblemount School where he was teaching. Part 4 of the Otto B.C. Series, 1911-21. Plus, we have now found the complete article that started the series, from April 24, 1958. This story will soon be changed to this address. If neither file connects, please email us. Our introduction to exploration of the Northwest before Washington's statehood. We have added to our subscriber edition an in-depth history of Skagit county that was written in 1953 by Charles Dwelley, who was then publisher of the Concrete Herald. edition. The Mother of all Floods, 1815 through the twin floods of 1896-97 and the two November 1990 floods that may have been the worst in tandem. This story will soon be changed to this address. If neither file connects, please email us. Kunzler helped Leonard Halvorsen and other Sterling/Nookachamps-area farmers research when they sued Skagit county to recover damages from the 1990 Thanksgiving flood, a 35 year event. See Halvorsen v. Skagit county online. The Need to Know Library — a compendium of hyperlinks to World Wide Web Resources. Resources included on this page may be of interest to botanists, plant ecologists, conservation biologists, resource managers, and students. Water resources of the United States — provides data on the physical characteristics of streams in the United States, including real-time stream flow data. The name Skagit derives from the Indian tribes of the area. 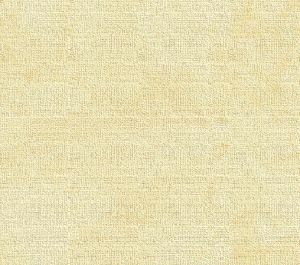 We explore the meaning of the word in some depth at this Journal website, but for now, we can tell you that it has many meanings, all of which blend together. The Indian language developed a word so complex in meaning that it is more of a state of mind and product of experience with the river than one that can be defined easily in a linear sense. Settlers who developed a firm sense of place and took the time to understand the Indian ways often interpreted their version of the word as meaning "the ultimate." Over the years, the embodiment of the word was the mountain cat or wildcat, which roamed over the hills and the forests unabated for thousands of the years until civilization and settlers encroached onto its territory. This story will soon be changed to this address. If neither file connects, please email us. If you want to know more about the overall big picture of the land and river, we suggest that you move on to the section about the conference convened by Western Washington University professor Roland L. DeLorme in 1977 — Of Man, time and a river: the Skagit river, how should it be used?. This story will soon be changed to this address. If neither file connects, please email us.